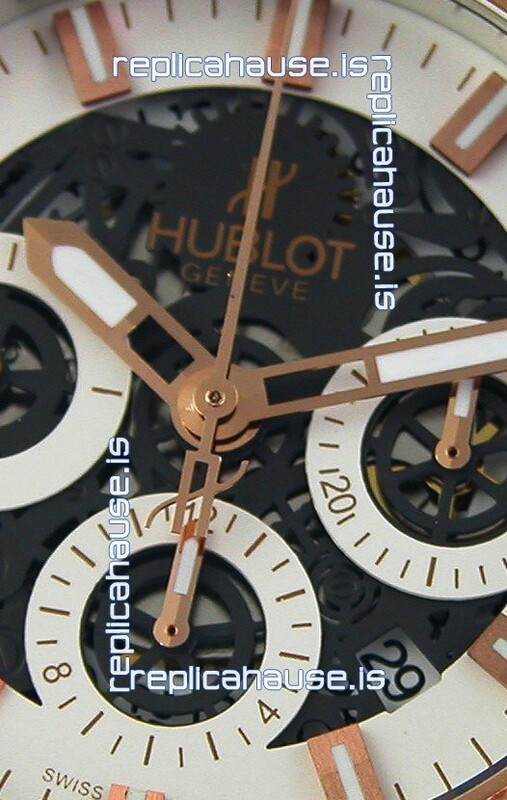 Skeleton White Dial with 3 Functional Sub Dials as per the originals and Date Window. 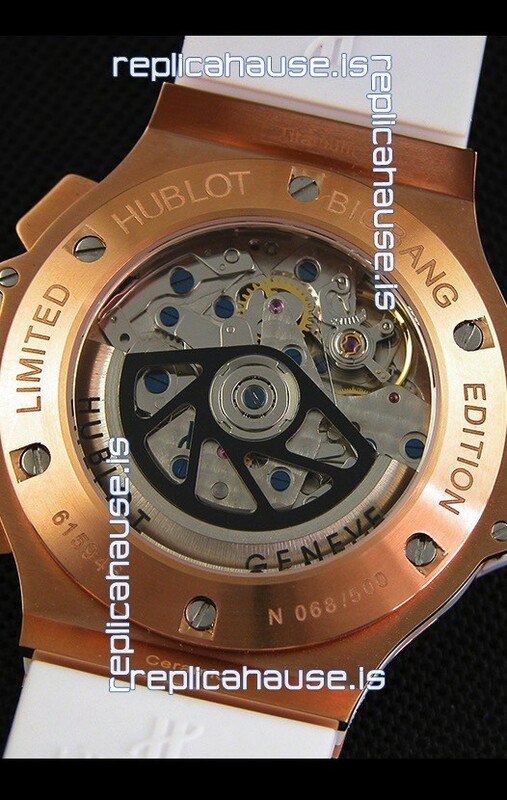 316L Stainless Steel with Pink Gold Plating Case complete with Hublot Markings and Engraving. 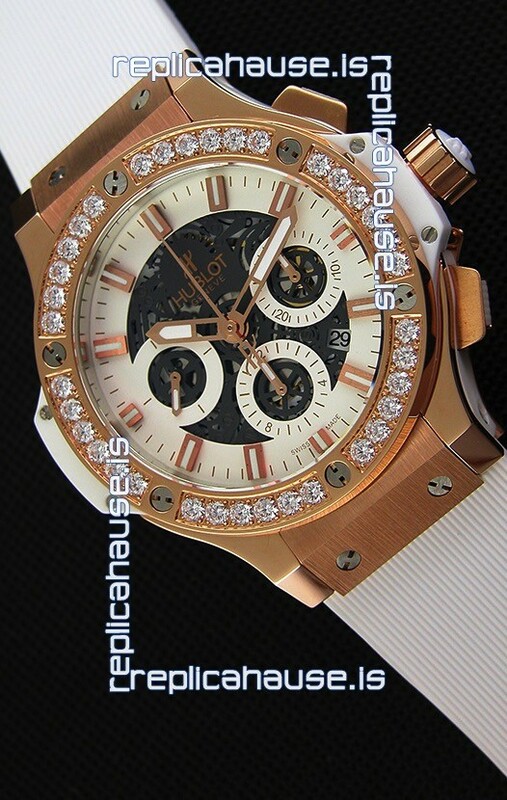 Diamonds Bezel. 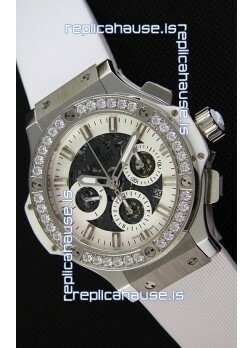 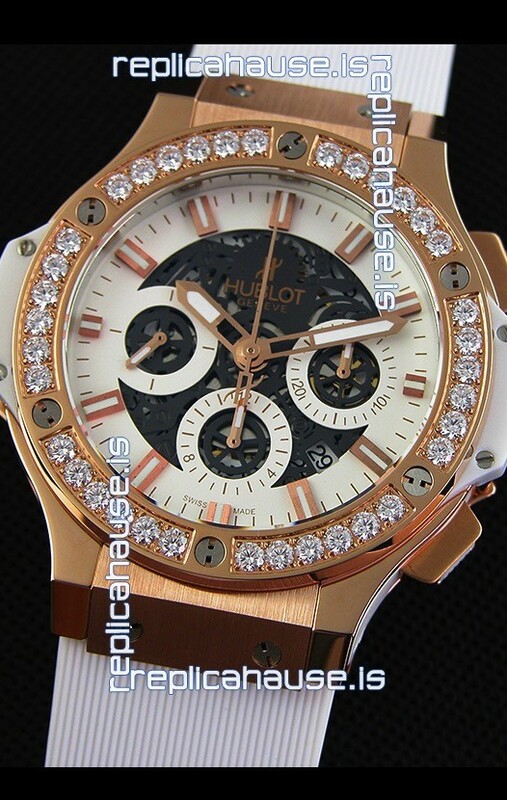 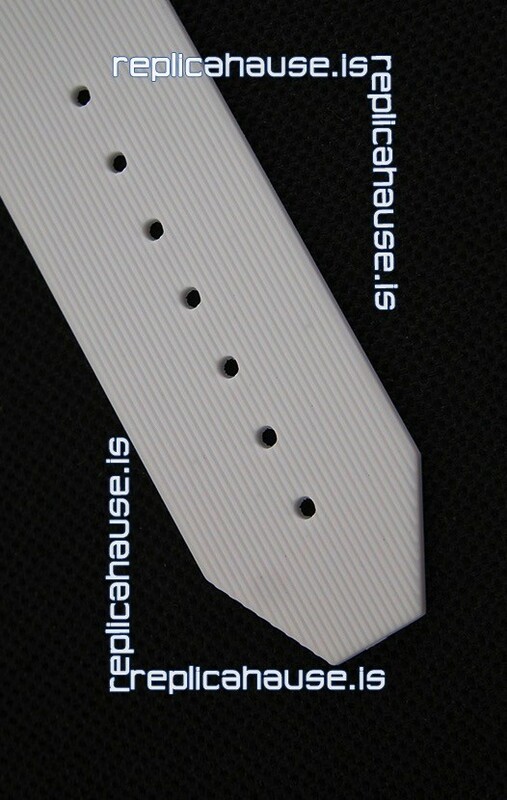 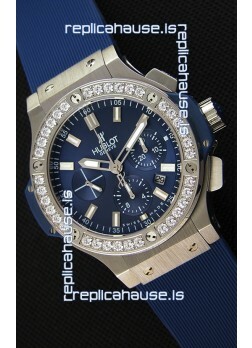 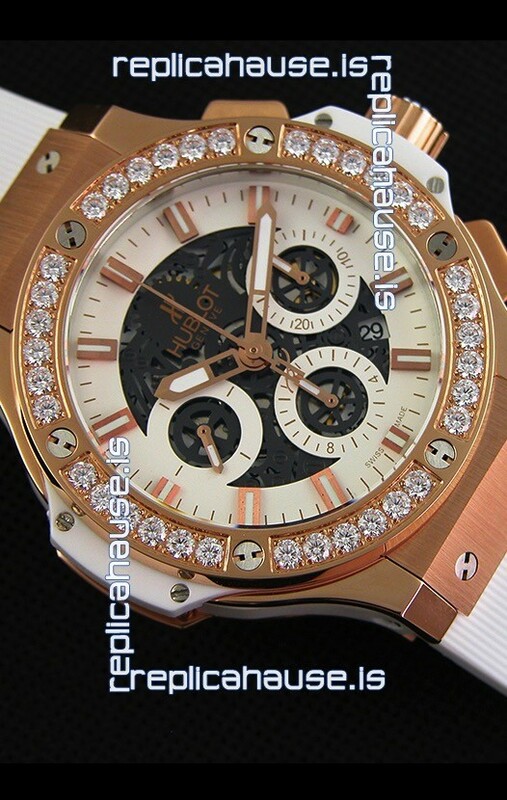 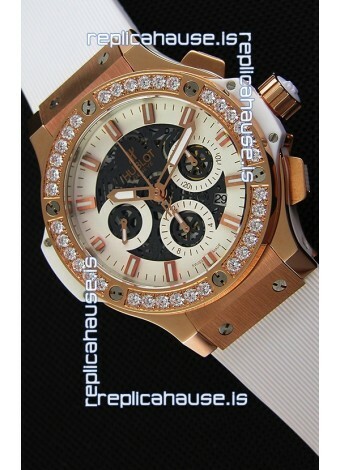 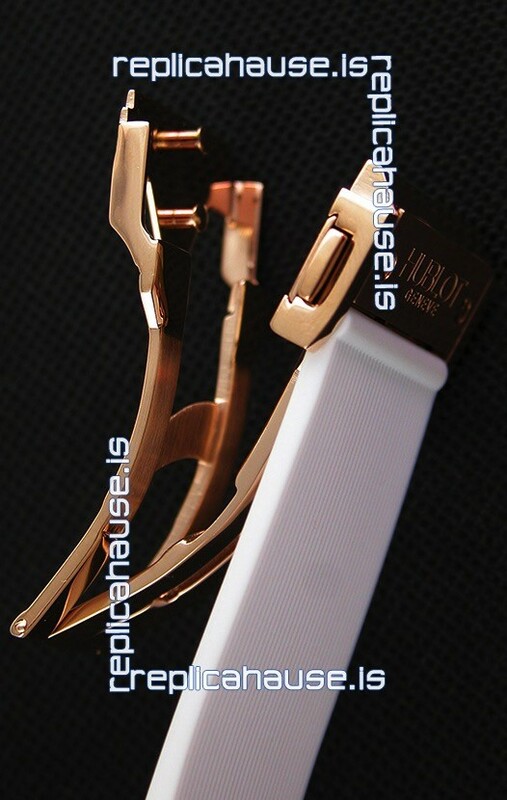 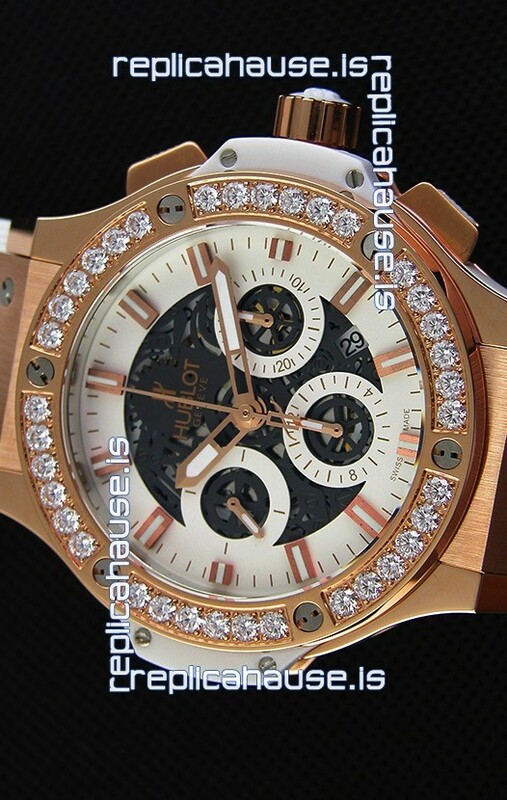 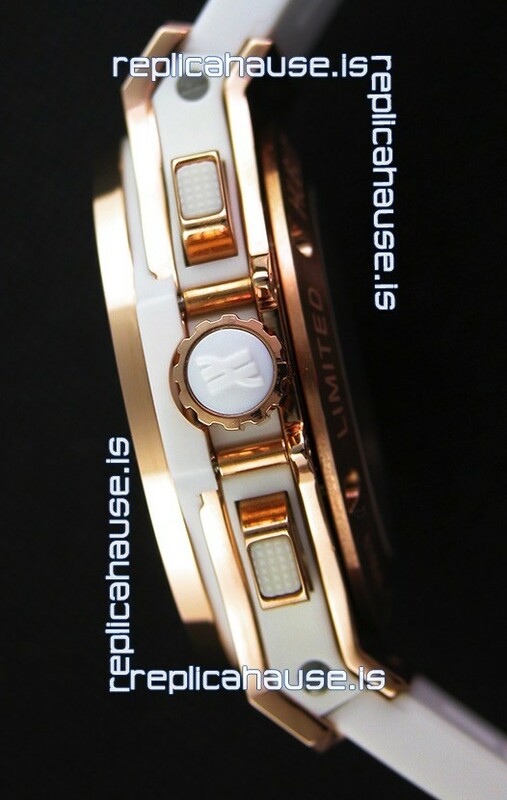 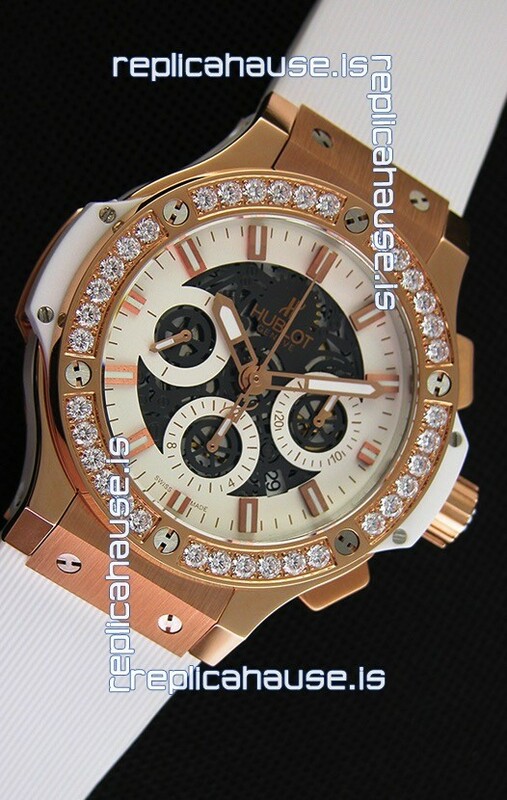 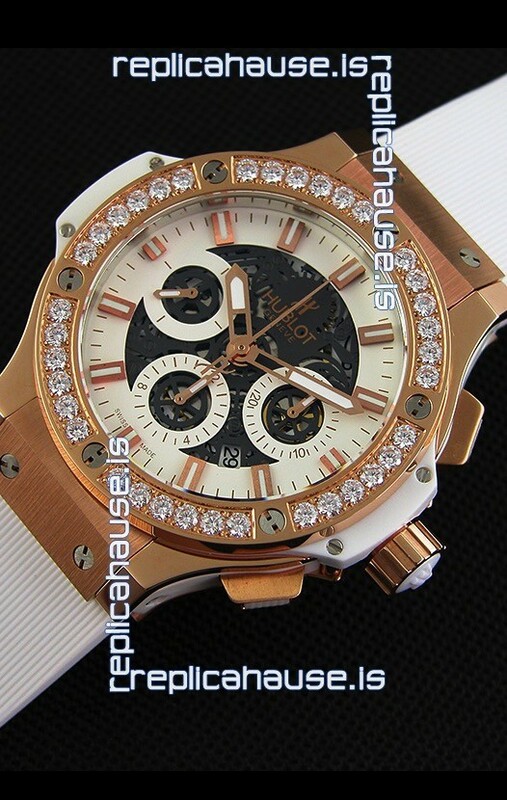 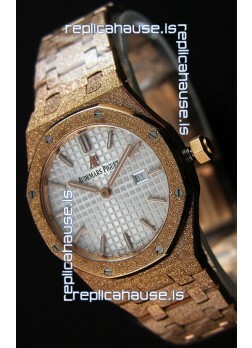 Rubber Strap with Pink Gold Plated Clasp complete with Hublot Markings and Engravings.